The increasing demand for high-speed transport of data has revitalized optical communications, leading to extensive work on high-speed device and circuit design. 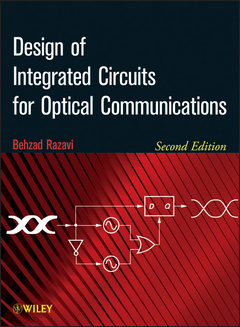 This book deals with the design of high-speed integrated circuits for optical communication transceivers. Building upon a detailed understanding of optical devices, the book describes the analysis and design of critical building blocks, such as transimpedance and limiting amplifiers, laser drivers, phase-locked loops, oscillators, clock and data recovery circuits, and multiplexers. This second edition of this best selling textbook has been updated to provide information on the latest developments in the field.